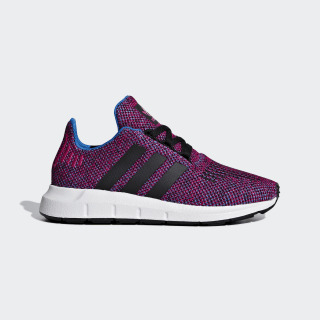 Kids' lightweight knit shoes with an offset tongue for easy on and off. The Swift distills elements from '80s running designs and adds a modern feel. These kids' two-tone knit shoes have a sleek, sock-like shape that offers a supportive feel. 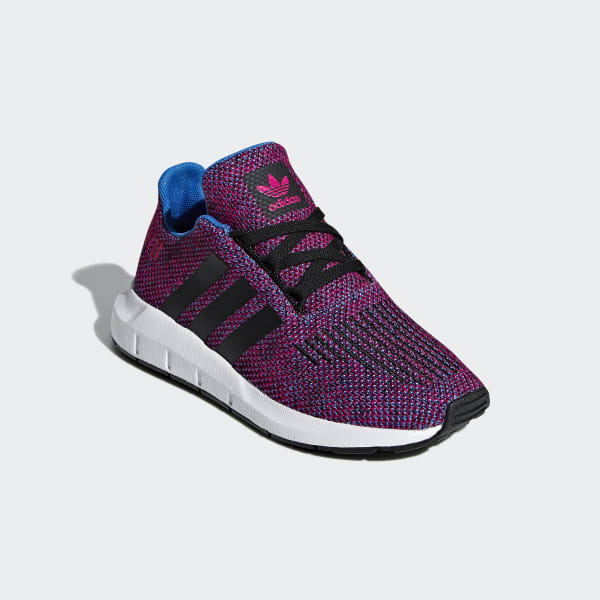 They're detailed with TPU 3-Stripes and embroidered lines for a distinctive finish. Lightweight cushioning gives all-day comfort.